On Saturday 12th September 12 noon to 2 pm, a celebration of local shops and independent traders will take place outside Hilary’s greengrocers on Mill Road. There will be a variety of activities, games, music, food samples provided by local shops and restaurants, and a BBQ as well as special offers. This event is open to all. 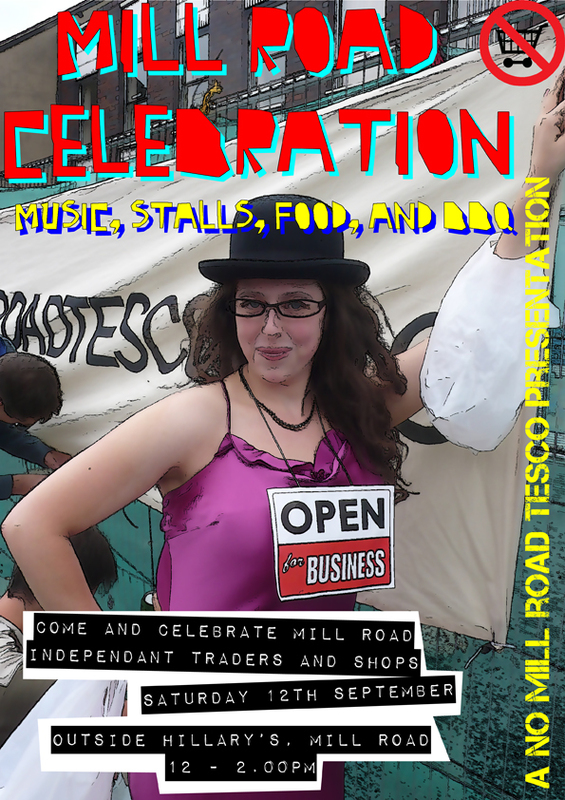 This event is organised by the No Mill Road Tesco Campaign as part of our support of local traders. If you would like to help please turn up at 10.30. All help will be greatly appreciated.